Without a doubt, Overwatch is one of the most colourful and addictive multiplayer games out there, and is still enjoyed by millions of people worldwide. One thing which has kept interest in the game alive is the fact that developer Blizzard has kept adding new content to Overwatch on a regular basis since its launch in May 2016 . Aside from new characters like Sombra and Ana, the US company has also put out top-notch cinematics that flesh out Overwatch’s characters and story (like last November’s Reinhardt video). Plus, there have also been special events like 2017’s “Year of the Rooster” event, which have added new character skins and items to the game. And in a recent developer video, Blizzard has now revealed what to expect from the “Year of the Dog” event, which is going live today (February 8) and will last four weeks, finishing in early March. According to Overwatch’s game director Jeff Kaplan, amongst other things Blizzard will release a new map during the event, which is named “Thailand”. According to Kaplan, this map “is absolutely gorgeous”, and lends itself particularly well to games of capture the flag. Actually, it’s been designed with this game mode in mind as Kaplan says in the video. Blizzard will be making certain changes to the capture the flag game mode for this event, amongst which is getting rid of draws. As Kaplan says, these “can feel very anticlimactic”. Instead, draws have been replaced by a “sudden death” mechanic, making the end game more exciting for players. Also, aside from the fact that picking up the flag is now instantaneous, resorting to character abilities which enhance mobility (such as Winston’s jump pack) will cause you to drop the flag, something to consider when you’re playing this mode in Overwatch from now on. And like in last year’s Year of the Rooster event, Blizzard will be releasing new legendary skins as part of this year’s event. 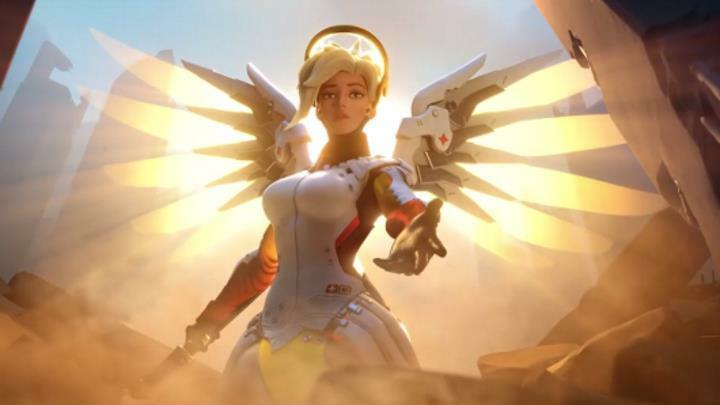 Two of Overwatch’s heroes, Mercy and Genji, will be getting new skins according to Kaplan, something that will surely delight those who play as either (which is a whole bunch of people actually…). It remains to be seen, though, whether these new skins stir controversy like Mei’s Chinese-themed skin did last year. This could be another Overwatch event to remember then, and it would be a great thing if Blizzard keeps adding new content to the game in coming months, as Overwatch has undoubtedly become many people’s favourite multiplayer game over the years and will likely draw in more players in 2018 too. Next: Will the Rampage movie break the video game movie curse? Will the Rampage movie break the video game movie curse?